We are specialize to develop any type of booking engine such as hotel booking, travel portal, car rental etc. 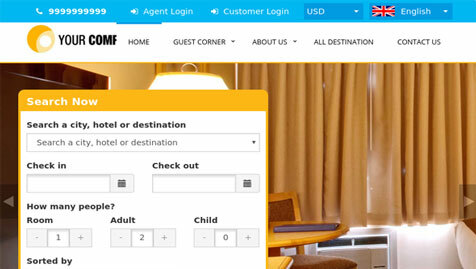 We have premade hotel booking system at very low price. We only use the latest web technologies such as PHP, MySQL, MS SQL etc to develop custom web applications that help facilitate both B2B and B2C interactions for our clients. In order to streamline support requests and better serve you, we utilize a support ticket system. Please provide as much detail as possible so we can best assist you. Have a project or custom booking engine or develop?